Ok, so you were out one day and went to shift- bam, you're stuck in neutral. The shifter won't do anything. At least I hope you're stuck in neutral. If you're stuck in any other gear, then you'll need to figure out how to get yourself back into neutral, or skip the parts relating to resetting the shift cables. If you have a 00-02.5 then the shift cable reset parts don't apply to you anyway. The shift tower problem might not apply to you either. I don't know. First off, you're going to need some special tools. The first special tool comes from Ford. If you bought your car new, you probably already wondered what that red circular thing in the glove compartment was. I always did, but it looked like it might be important, so I kept it. Next you'll need a 6mm x 30mm cap screw, or allen socket bolt, whatever you want to call it, preferably 10.9 or 12.9 hardness. A 4mm hex key, a nylon locking nut for the bolt, a flat wood or plywood block, and a decent jack to jack up your transmission. Now when I say decent, I might not mean what you think. IMO, you don't want to use a lever style hydraulic floor jack on the transmission because it pulls the transmission back and up at the same time. You're better off using the scissor jack or a bottle jack that goes straight up. The other will work though, but might cause you some issues getting the shift tower out. Jack up the transmission slightly because you will be removing the transmission. 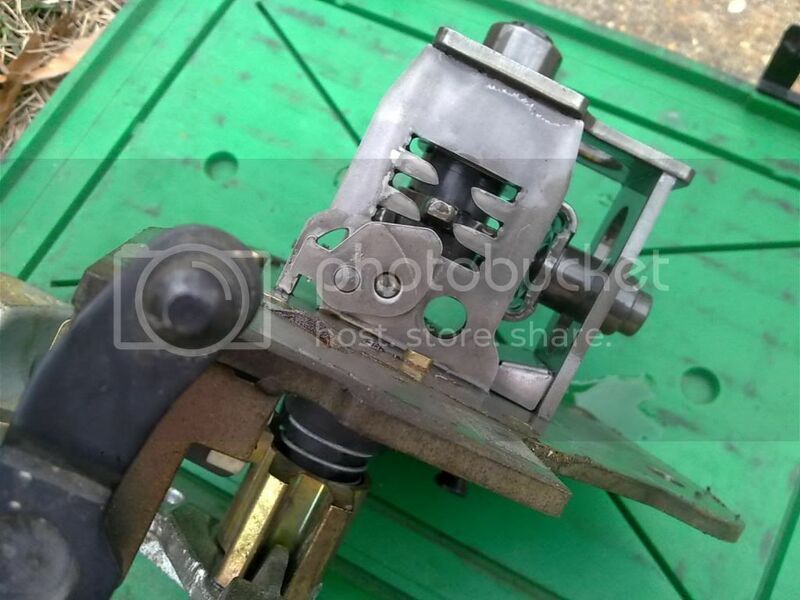 If you have the special tool, the tri-ax shifter, and you were stuck in neutral- install the special tool on the shifter to hold it in the N position. You might have to wiggle the shifter around to get the tool to settle down in it's groove. 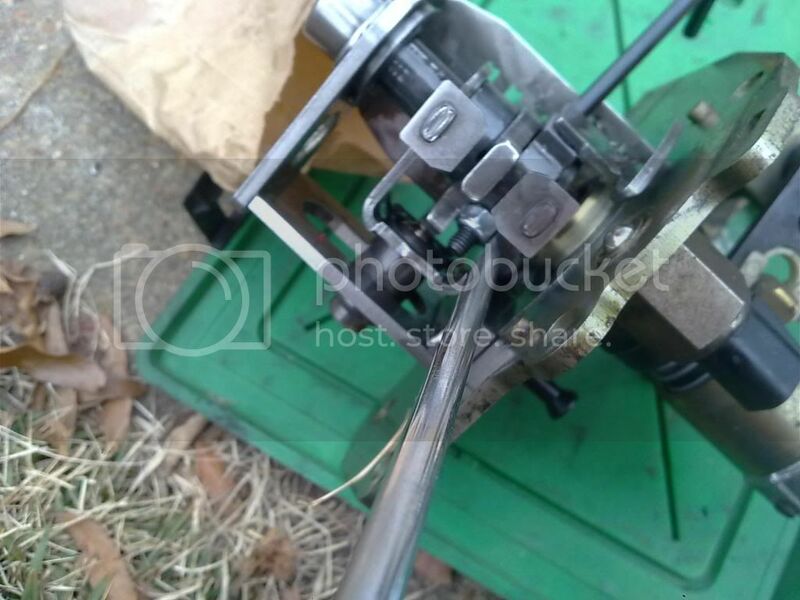 Wrap the tool around the bottom of the shifter with the big tab to the back, pull up on the reverse lockout, and once the tool slips down into it's groove, rotate it 45 degrees clockwise. Yes, notice I don't have a reverse lockout. That's just me. Now that the shifter is locked in N, go under the hood and remove everything out of your way including the motor mount. I recommend drawing around your motor mount before you remove it. I used a silver Sharpie. Since this works on Zetecs too, I won't get into those particulars. 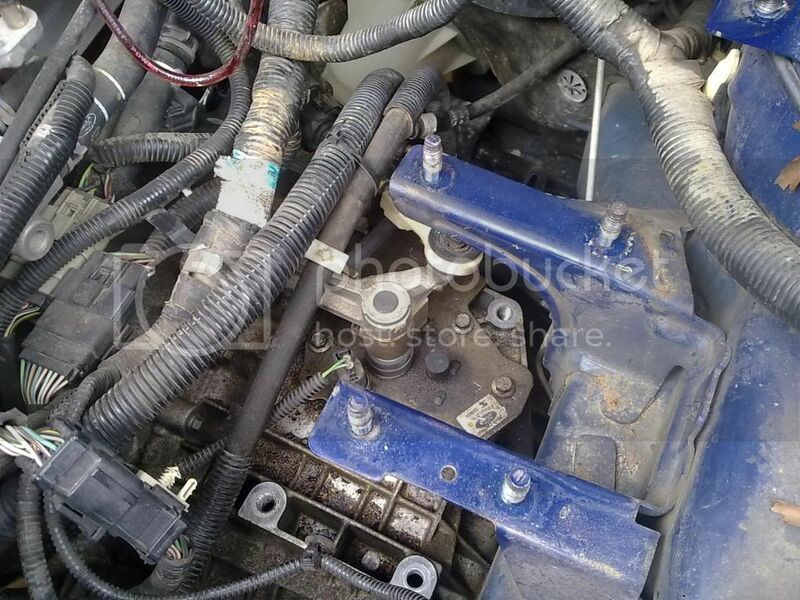 You will need to support the transmission with a jack before you remove the motor mount! 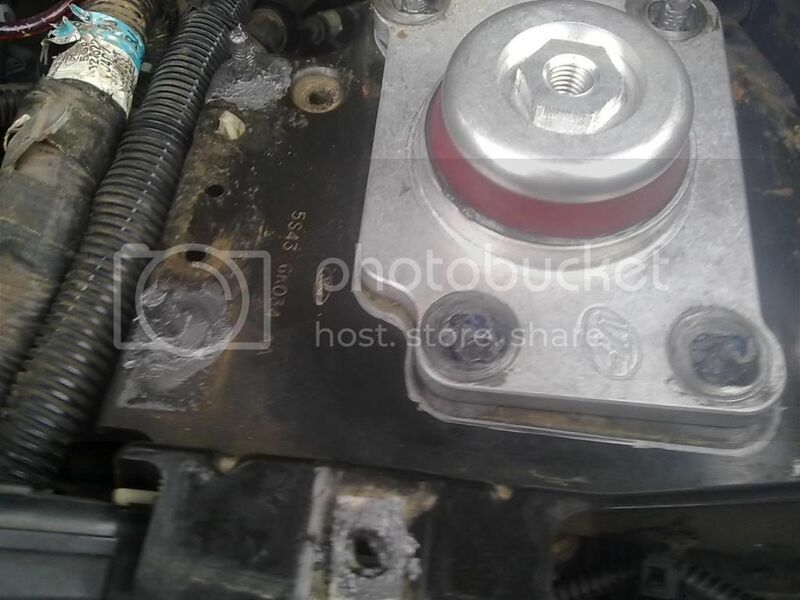 When you install the motor mount, use the jack to push up on the transmission so that you are not pulling the transmission up with the center mount bolt or you will strip it and the trans will fall while you're driving. 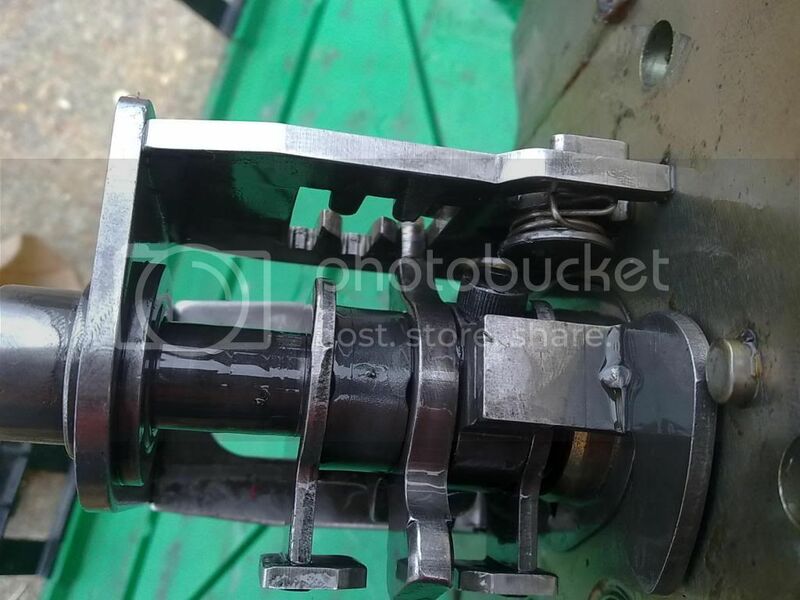 So here's something similar you'll be looking at if you have your motor mount removed. It's exactly what you'll be looking at if you have a Duratec engine. Last edited by whynotthinkwhynot; 02-12-2015 at 05:48 AM. 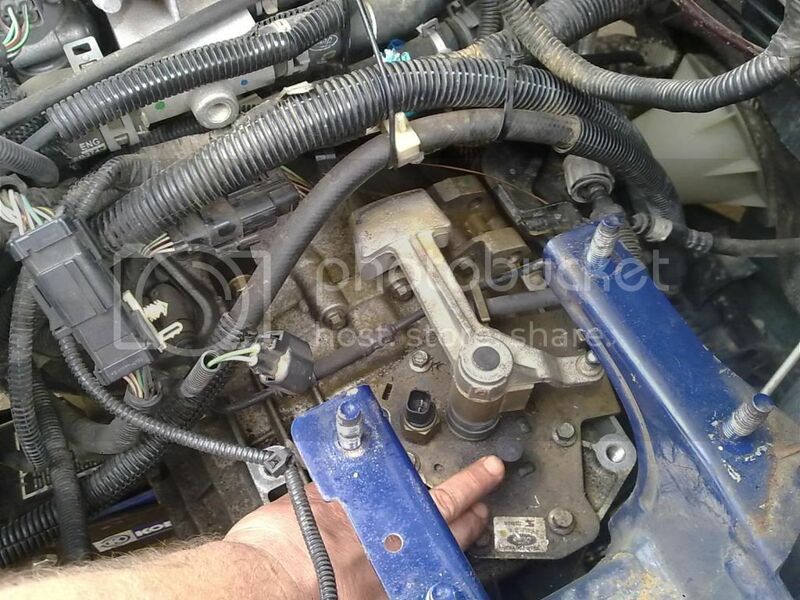 If you're unfortunate enough to have a Duratec like I do, then you'll probably want to find some sort of way to tie up all that wiring out of the way so you can work and more easily remove the shift tower from the transmission. I don't know what Zetecs have there, but if you do have any hoses or cables, do what you can to move those out of the way of the shift tower. You'll see all the 10mm head bolts that hold the shift tower in place. That whole plate on top of the transmission has to come out. 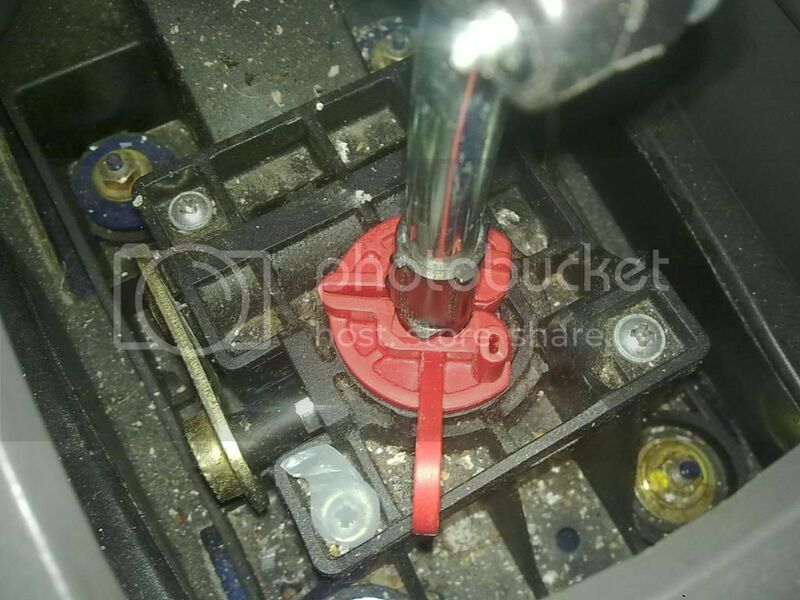 Unplug the electrical connector, and remove this rubber cap- put it somewhere you won't lose it, and won't forget to put it back on!! That's the vent cap. Disconnect the shift cables. If you're going to be re-adjusting the cables, then now is the time to pop the cable holder loose as well. I had a really difficult time pulling the cable holding clip up. I had to use a small 1/4" pry bar, and push from the back to get it up. Sorry, no pics of that, but you see the red waffle shaped thing- that's what you pull up. Some penetrating lube might help- even though it's plastic on plastic. Don't worry, you can't pull the end off the shift cable. You might even have to remove the cable from where it attaches in order to get the cable grip loose- I did. To remove the cable end from the shift tower- just press the button and pull up as shown. Last edited by whynotthinkwhynot; 03-20-2016 at 08:38 AM. Now remove all the bolts holding the shift tower in place. Here is a picture you might want to take if your memory is bad, or you just want to be sure. This last bolt is different than the other bolts, so you have to remember where it goes. Hey, if you don't take a pic you can always come back inside, get grease on your keyboard, and I have taken the pic for you. Now the shift tower is ready to come out. Move any tools or bolts out from under the hood, anything that might fall inside the transmission. You might want to lower the transmission slightly to give yourself more room to move. Pull up slightly to break it loose, then tilt it back towards the front of the car, and it should come out easily. Now here's your shift tower in the N position. Play with it, shift it around, you won't hurt anything. You'll see how it should work because the center shaft will spin inside the part that should be rotating because you have no pin holding it in place. If there is any pin left in there, you're going to have to line it up, and find something to knock it out with- an old bolt, a punch, a nail, something. Drive out the old parts of the old pin, and rotate the parts so you can install the bolt. This last pic is to show you some of the parts that have to fit together, and how. Things can get messed up quickly when the center shaft is not connected- so pay attention to what's happening when you move it around. Now that the pieces of the pin are knocked out, it's time to line up the parts and install the bolt. It will only go in one way, put it in, and move the shifter around to make sure that it won't hit anything. I had to wedge a screwdriver under the nut to be able to tighten the bolt. It wasn't easy, but what is? See how long my bolt is there, that's a 35mm bolt. That's why I recommended a 30mm- however, you might want to pick up a 35 like I had in case the nylon locknut you purchase is thicker. 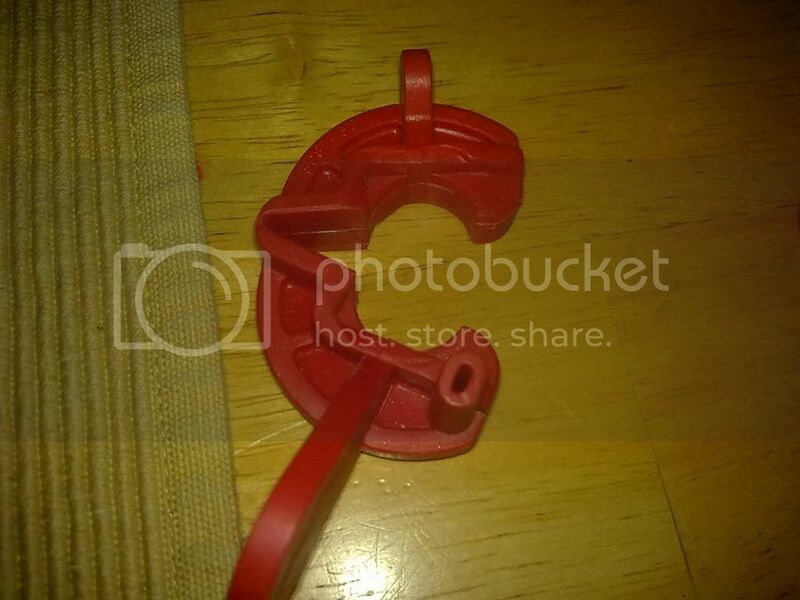 If you can't get a nylon locknut, then you will definitely want to use red lock-tite. I never recommend red, and you might want to throw away the tube when you're done so you're not tempted to use it again. You should also make sure that everything fits acceptably before you use red on it. Red lock-tite is for locking nuts in place that you NEVER want to remove again. Blue makes bolts and nuts hard to remove, but red makes them permanent (you have to use heat to loosen the nut). Blue might work, but in this case red would be a better choice IMO. I used a nylon locknut + blue. Whatever bolt you use, before you leave it, make sure you can operate the shift tower without it contacting anything. Last edited by whynotthinkwhynot; 03-20-2016 at 08:43 AM. Ok- ready to put it back in? Installation is the reverse of removal.....not really. It depends on how much you want to make sure things are done correctly. 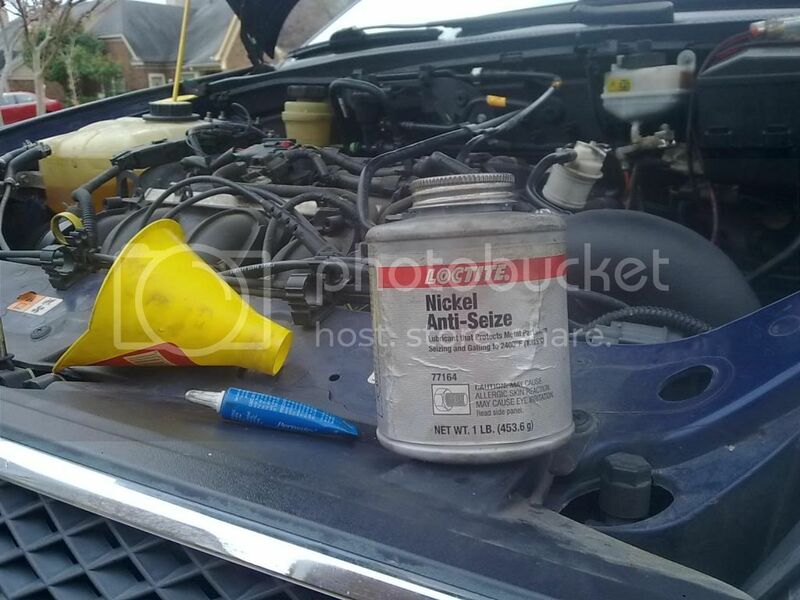 I use blue lock-tite on my motor mount bolts. Ford uses a compound similar to blue- but it looks red. This has caused some serious problems for some well-meaning shade tree mechanics in the past. For the love of all things good and right, don't use red, and don't use too much blue. 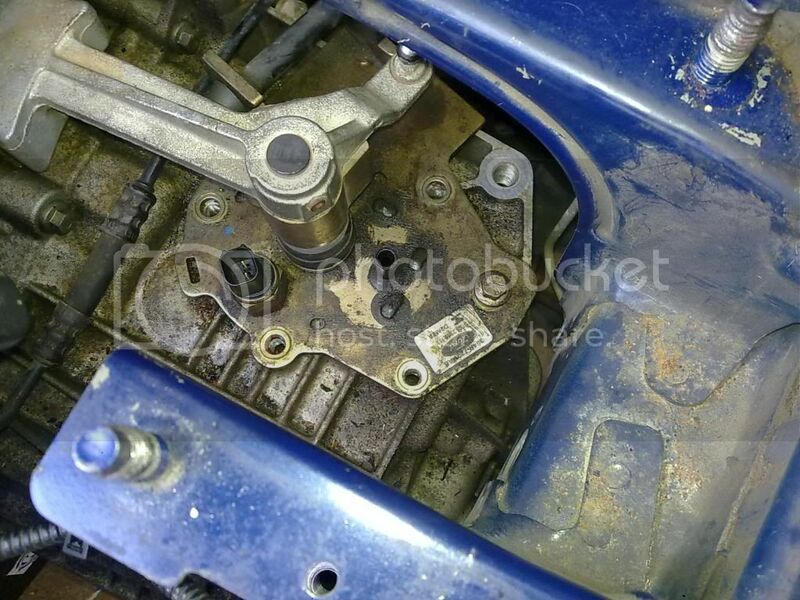 On your motor mount bolts that go into the transmission- use a single drop of blue where you can tell the threads end. That's all you need. On nearly everything else, including the bolts that hold the shift tower in place- use anti-seize. On those bolts specifically you're using it to prevent a galvanic reaction between the steel and aluminum. 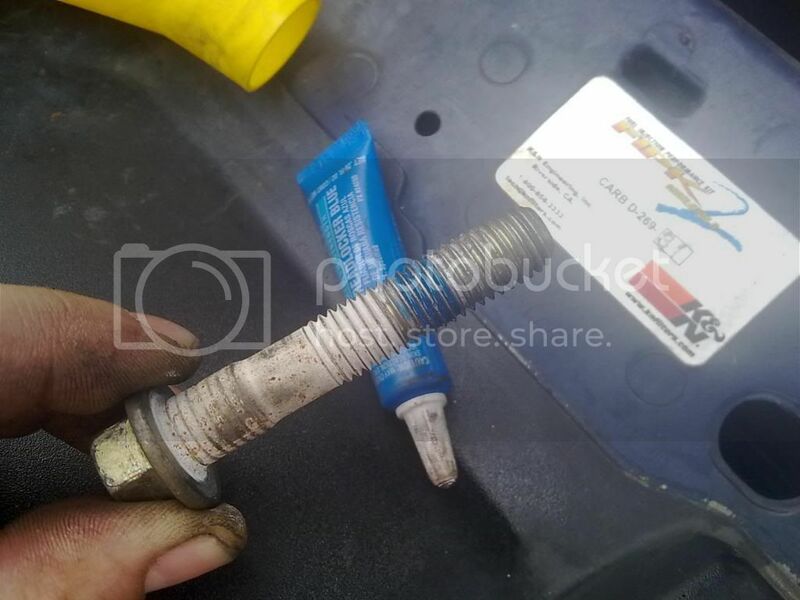 You might even want to check the threads on these bolts before you put them in. When I checked mine, some threads in the transmission had broken off. These bolts are not tightened much more than snug. 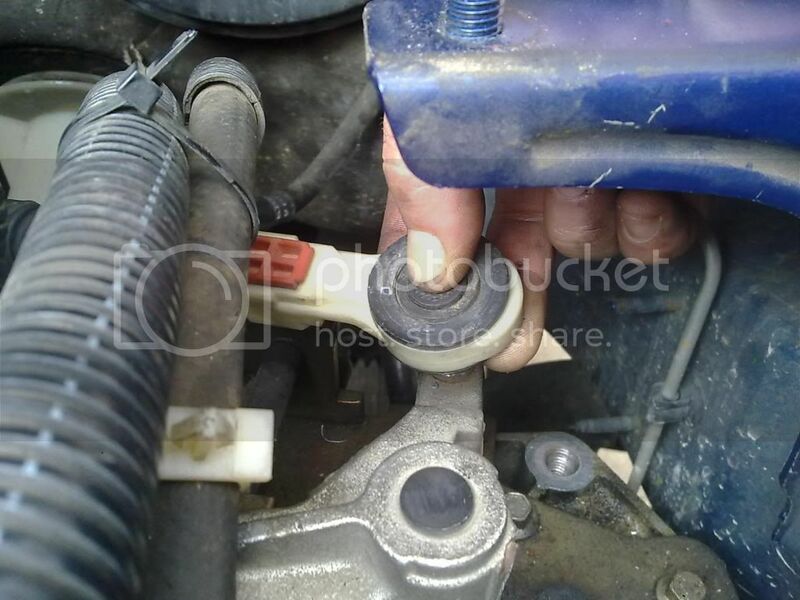 Now if you have a Duratec, then you'll want to be doubly sure that when you untie your wiring and hoses, you make sure you put clips back in place to hold these out of the way. Unkept wiring down there can cause the shifter not to function properly. I broke some clips, and had to use zip ties to hold things up. Zetecs might have similar problems, so make sure nothing inhibits the function of the shift levers. If you're going to be adjusting the shift cables- do that as soon as you have the motor mount in place. It might not work well before. I found that it was best to install the motor mount with the transmission just slightly high. 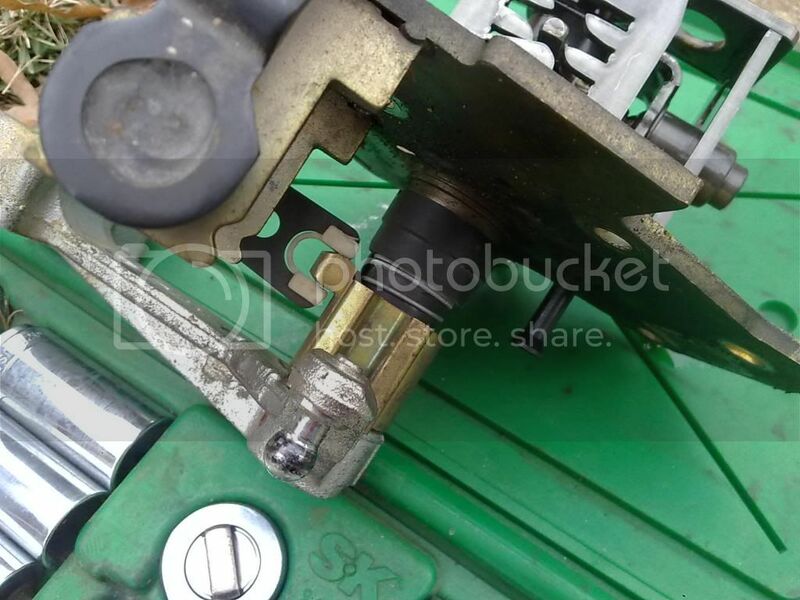 IIRC, the stock mount is held together by a bolt in the center. What I would do is put it in place, then jack up until the mount lifts slightly off the base- just like I did with my poly mount. Then screw the center bolt down to the trans. Now back to the shift cables. 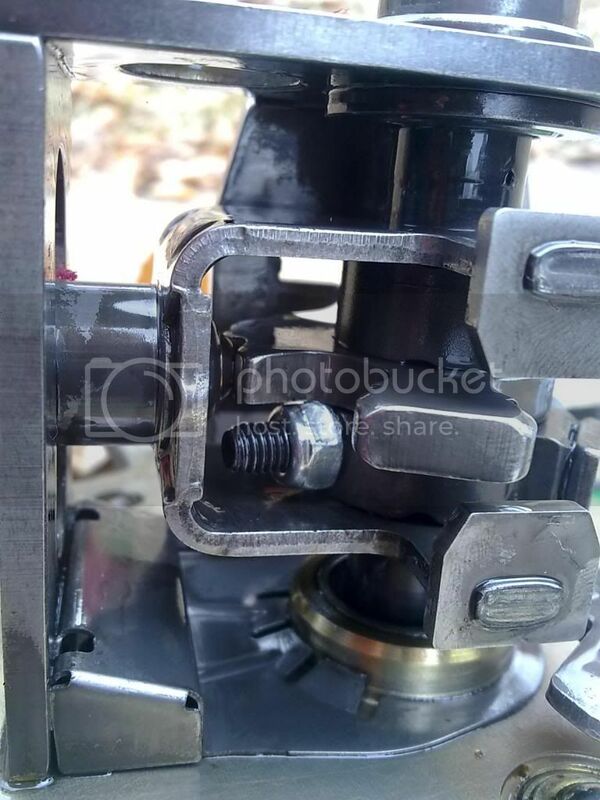 Both cable grips should be released, the motor mount bolted down, and the transmission in its proper position. Now, shift the transmission into 3rd gear by pushing the big lever arm on the top clockwise towards the firewall as far as you can. With the lever in this position, press the grip down on the bottom cable- not the one that attaches to that lever. Now shift that lever back into the Neutral position, and press down the grip on the other cable. That should reset your shift cables, so you can remove the shifter locking clamp. Now you should be shifting like a champ! Congratulations, you just saved $200 on a new shift tower by purchasing a $3 nut and bolt. Now if your transmission was in some other gear besides N, then pay attention to the position of the shift tower before installing it. Check the "gate" operation, so you know you're in the right gear if not 3rd or 4th. 3rd and 4th are the center 2 selections. 3rd being the one with the lever in the furthest clockwise position, and 4th is the opposite. 5th and R are at the top, and 1st and 2nd at the bottom. It's very important that shift tower be in the right position when you install it. Line up the slots in the shift mechanism inside the transmission before installing. These should move freely. Thanks to Nine!, who had this problem with the vehicle stuck in 3rd gear in the thread below. Last edited by whynotthinkwhynot; 09-28-2015 at 05:19 AM.